If you want to treat your feet, get them into a shiney new pair of Hokas! 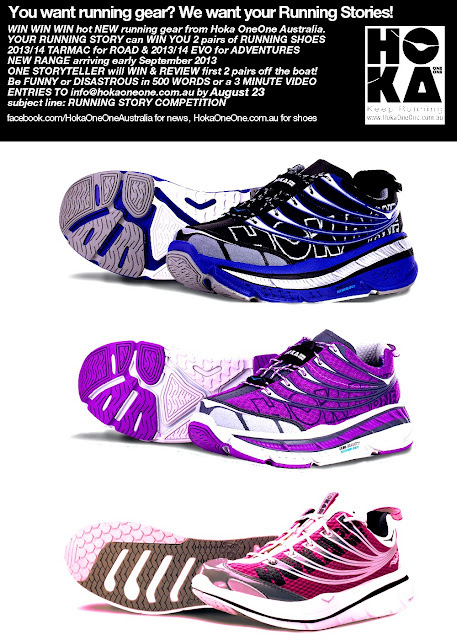 If you don't want to pay then there is way to get a pair for free, gratis, compliments of Hoka OneOne Australia. You don't have to be in Australia to enter, but if you win they will only be shipped to an Australian address. So maybe find yourself a friendly Australian who'll forward them on for you, or come and visit! Go on be nice to your feet and enter...Good Luck!